Actualización: Este post tiene un poco de material nuevo sobre el post original que escribí hace un tiempo. Este nuevo material son algunas sugerencias de personas que conocen mucho de XF, gracias! Después de invertir tiempo en conocer como trabajar con Bluetooth, beacons y otras tecnologías en Xamarin Forms, llega el momento de crear las apps. Aquí a más de uno se le puede caer el alma al piso, porque los controles por defecto que nos da Xamarin Forms son “un poco pobres”. Así que dejo un par de recursos que me he encontrado sobre ejemplos para mejorar el Look&Feel de nuestras Xamarin Forms Apps. El primer ejemplo pueden ser las 4 apps de ejemplo que comparte el equipo de Xamarin donde además del código fuente, algunas de ellas están disponibles en las stores de Apple, Android y Windows Phone. Un ejemplo de la serie anterior. En esta entrada, Adam nos muestra como con un poco de código sobre un ListView, se puede tener un look&feel bastante atractivo. Compass: Easily access compass heading 0-360 degrees. Local Notifications: Easily show and schedule local notifications. Permissions: Check and request runtime permissions. Los controles de 3ros suelen tener sus mas y sus menos. Yo personalmente prefiero sacarme trabajo, si los controles son buenos y con los controles de DevExpress he tenido buenas experiencias. Es por esto, que esta grid para Xamarin Forms, está en mi lista de #MustTest. Además de que tiene varias features interesantes, es gratis! Finalmente, si puedes invertir un poco de dinero los controles de Telerik on una alternativa interesante. Controles para hacer gráficos, calendarios y una listview con más funcionalidades pueden acelerarnos mucho los tiempos de desarrollo. Otro ejemplo donde es necesario invertir un poco de dinero, pero que nos permite ganar mucho tiempo. Los amigos de Plain Concepts han hecho un interesante review de este kit que se puede leer aquí. Otra suite de controls donde toca poner un par de €uros. Eso si, hay planes específicos gratis para startups y demás. No he leído todas las opciones, pero es bastante interesante. La suite de controles tiene cosas interesantes como el soporte para MVVM, integración nativa en Visual Studio con Nuget y más cosas. Update: This is an update from my previous post with some new resources and some suggestions people told me to work with XF! After investing some time on learning how to work with Bluetooth, beacons, and other technologies with Xamarin Forms, now is the time to create Apps. Someone (like me) could feel some disappointment, because the default controls supported by Xamarin Forms are “kind of poor”. 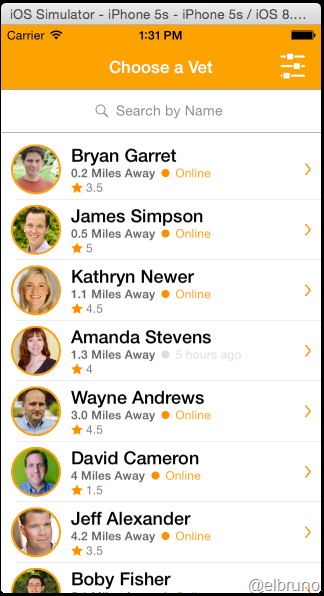 So I pack a couple of resources which I found on samples on how to improve the Look & Feel of our Xamarin Forms Apps. 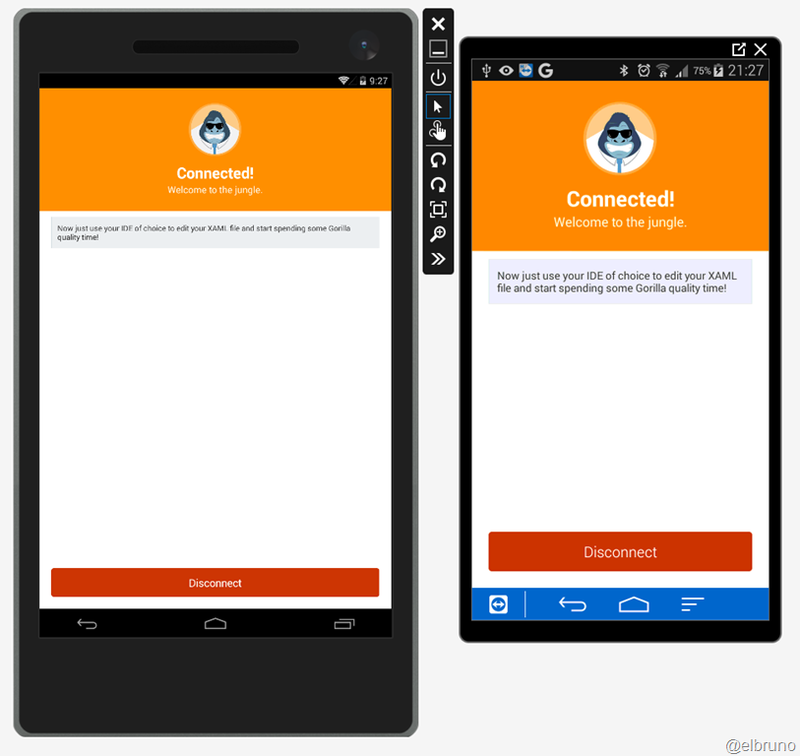 The first example can be the sample 4 apps shared by the Xamarin team, where besides the source code, some of which are available in the stores of Apple, Android, and Windows Phone. An example of the previous series. In this post, Adam shows us how with a little bit of code on a ListView, you can have a look & feel quite attractive. 3rd party controls tend to have their advantages and disadvantages. If the controls are good, I usually try to use them. And I’ve good some very good experiences with DevExpress controls. That is why, this Xamarin Forms Grid, is on my #MustTest list. Besides that it has several interesting features, it’s free! Finally, if you can invest some money, the Telerik controls on an cool choice. 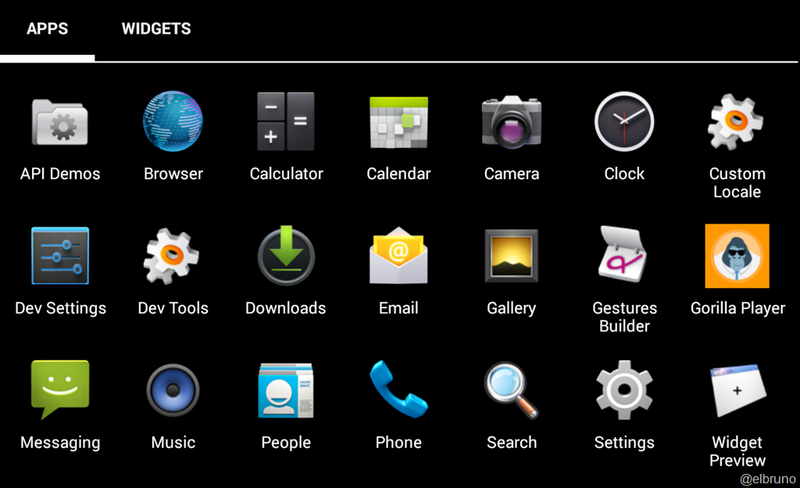 Controls to make graphics, calendars and a extended listview can speed up our development time. Another example where it is necessary to invest a little money, but that allows us to buy much time. My good friends in Plain Concepts have made an interesting review of this kit which you can read here. Another suite where you need to spend some money (altought they have some free plans for startups). The nice things about this one is the support for MVVM, Nuget integration for Visual Studio Developers, and more stuff. Today I’ll write a quick review to another cool tool which allows us to have a real time preview of XAMLs views when we works with Xamarin Forms. 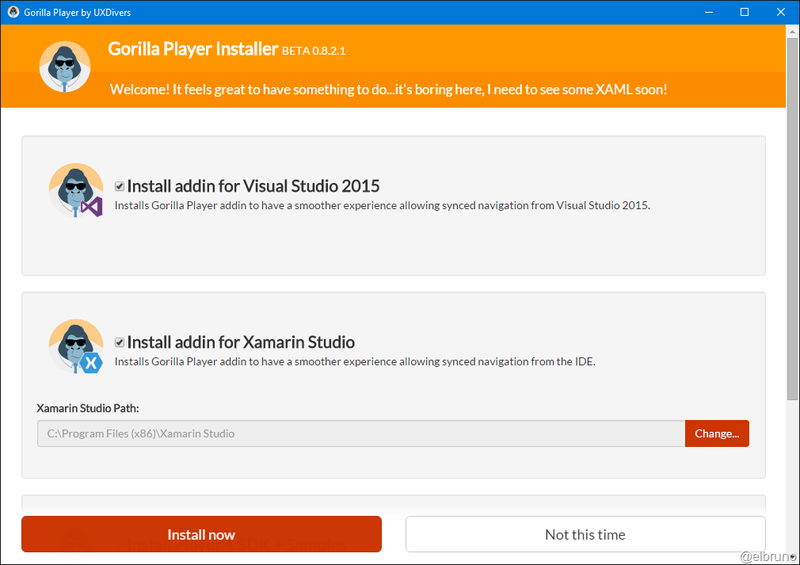 Let me introduce to you to Gorilla Player, is a nice tool to have real-time XAMLs preview, however I also like the logo, is one of the best I’ve seen since the Octocat. The product is in beta phase. You can sign up and then it’s time to wait a while to see if you have been accepted. When you accept you, they send you the information to download the app and also a username and password to use it. I’m not going to write about the installation process, since it is quite intuitive. 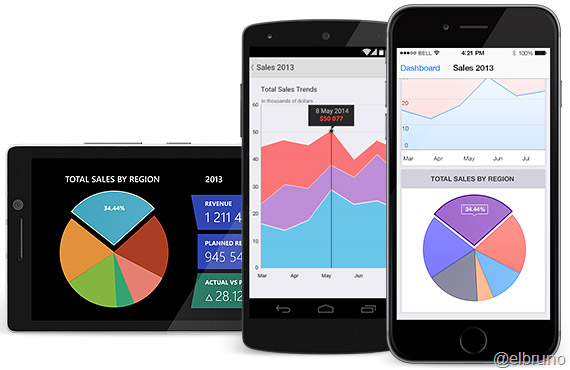 The only thing that should be mentioned, is that the app is integrated with Visual Studio 2015 and Xamarin Studio. How cool is this? Once deployed the app, we can already see it as a new app on our desktop. If our environment is properly configured, we should see “Connected” status in the app. The following image shows the app connected in the 7″ emulator and the S5 Mini. Now it is time to open this app. When we launched the app will see that it shows us the State of connected. 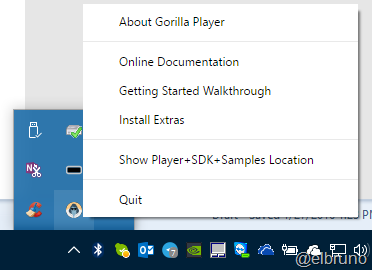 This is because the Gorilla Player installer has installed a small app that is the bridge between the devices and our designer..
Something I feel after using it a while, it works perfect when all styles, bindings and other statements are defined in XAML mode. If you make some kind of binding by code, it seems that it fails to correctly resolve some types. Personally, I like the idea of working side-by-side with the Visual Studio Android emulator in order to have a live preview my XAMLs files. I will give you a bit of use for a while, and I will also learn to declare more information in XAML (I’m very C# for almost everything). 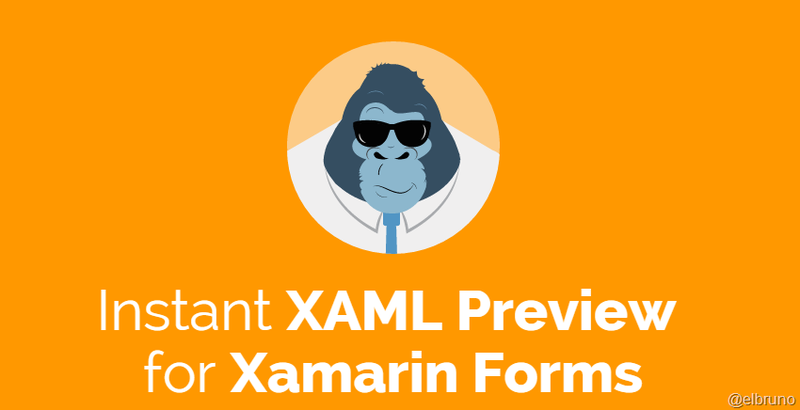 Hoy toca dar un repaso a otra opción interesante para tener un preview online del diseño de nuestros XAMLs en Xamarin Forms. En este caso se trata de Gorilla Player, además de ser una buena opción para trabajar con nuestros XAMLs en tiempo real, tiene uno de llos logos más simpáticos que he visto desde el Octocat. El producto está en fase beta. Te puedes apuntar y luego es momento de esperar un tiempo para ver si has sido aceptado. Cuando te aceptan, te envían la información para descargar la app y además un usuario y contraseña para usar la misma. Voy a pasar de largo el proceso de instalación, ya que es bastante intuitivo. Lo unico que debería reseñar, es que la app está integrada con Visual Studio 2015 y Xamarin Studio. Una vez desplegada la app, ya podremos ver la misma como una nueva app en nuestro escritorio. Si nuestro entorno está bien configurado, debemos ver el estado “Connected” en la misma. La siguiente imagen muestra la app conectada en el emulador de 7’’ y en el S5 Mini. Ahora es momento de abrir esta app. Cuando lanzamos la app veremos que la misma nos muestra el estado de conectada. 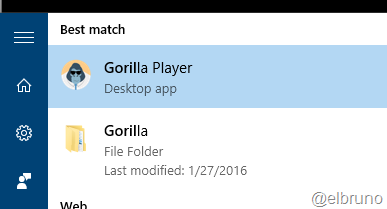 Esto es porque, el instalador de Gorilla Player ha instalado una pequeña app que es la que hace de bridge entre los devices y nuestro diseñador. Importante: Si no tienes en ejecución esta app, debes abrirla. Una búsqueda por Gorilla nos lleva al shortcut a la misma. Un detalle que intuyo después de usarlo un tiempo, es que funciona perfecto cuando todas las declaraciones de estilos, bindings y demás están en el XAML. Si realizas algún tipo de binding por código, parece que no termina de resolver correctamente algunos tipos. Personalmente, me gusta la idea de trabajar con el emulador de Android de Visual Studio para poder tener un preview rápido de mis XAMLs. Le daré un poco de uso durante un tiempo, y además me servirá para aprender a declarar más información en XAML (yo soy muy de C# para casi todo). Friends of Plain Concepts have made an interesting review of this kit which you can read aquí.